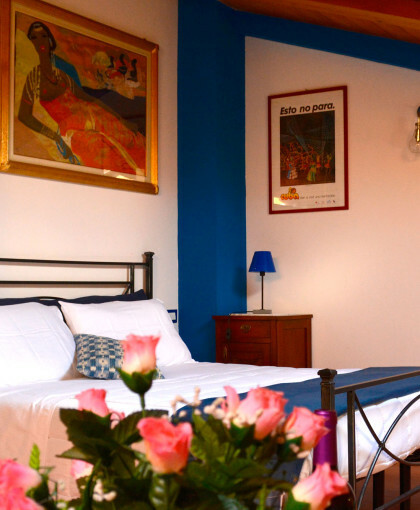 B&B Percorso Verde is thought for those who prefer family and cosy atmosphere in a real Bed and Breakfast , the house, that is where the owners and their family live. 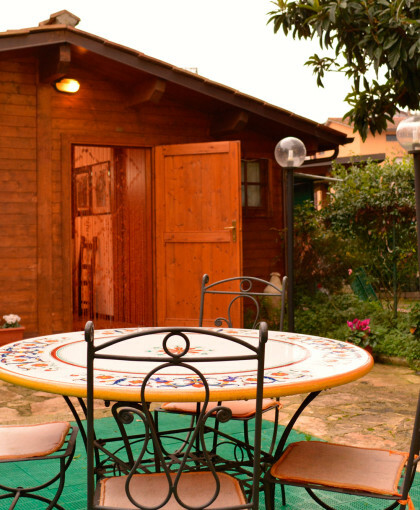 It is situated in an easy area to reach, at about 1 km from E45 and from where it is easy to reach the centre of Perugia and the main places of Umbria like Assisi, Spello, Gubbio, Spoleto, Trasimeno lake, etc both by car and by public transport. 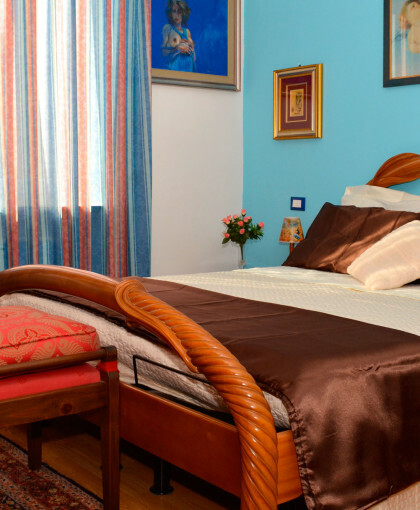 Rita e Piero, owners of del B&B Percorso verde offer all visitors that prefer a warm and kind accomodation in a family with all comforts in a quiet atmosphere far from urban chaos rather than the formal and cold atmosphere of hotels. They are from Sicily but they have chosen to live in Umbria for more than 20 years because they love this land and they say of themselves to be culturally hostable. Here you will be considered guests not clients. The house where also the owners live, is a cheerful, colorful and comfortable place. 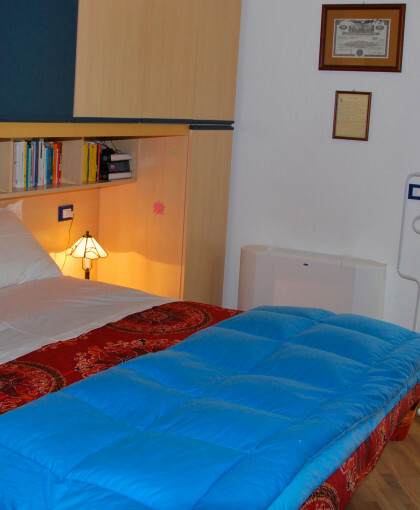 The rooms are all wide and cosy and guests can use TV, internet wi-fi, private bathroom, sheets and towels, bathroom free kit, slippers. There is also a little garden available for guests in spring and summer, it’equipped with barbecue, deck chairs, little armachairs, tables and chairs where they can decide to spend some hours of relax, reading a book or just sunbathing and a wide hall to watch tv TV (also SKY) o see a film choosing it from a well varied collection. Percorso verde on the river Tevere, is only 100 metri from our house,and will reconcile guests with nature ,with their own body, with smiling. It’s an enchanting path set in nature, with the colours and smells of the river, along the river Tevere where hundred of young and old people, cyclers, runners and walkers find a time to relax. Breakfast is a typical Italian one and can be adapted according to the special needs of every guest (menu per celiac and people that suffer from intolerance to milk or that follow low calories diets). The mid Tevere and the area of Ponti are among the most pictoresque of Perugia area. Rich of history and of fascinating landscapes it used to be the border between Etruria and Umbria’s people land and it hosts many and interesting places to visit.